Braeside is a beautiful four star Guesthouse overlooking Loch Feochan Located three miles south of Oban on A816, Braeside sits in beautiful countryside with superb views towards the hills and Loch Feochan. It has the advantage of a peaceful rural setting yet only minutes from Oban. Braeside is a family run guesthouse offering comfortable accommodation and hearty breakfasts. It represents excellent value for guests. The tastefully decorated en-suite bedrooms and public rooms are located on the ground floor. 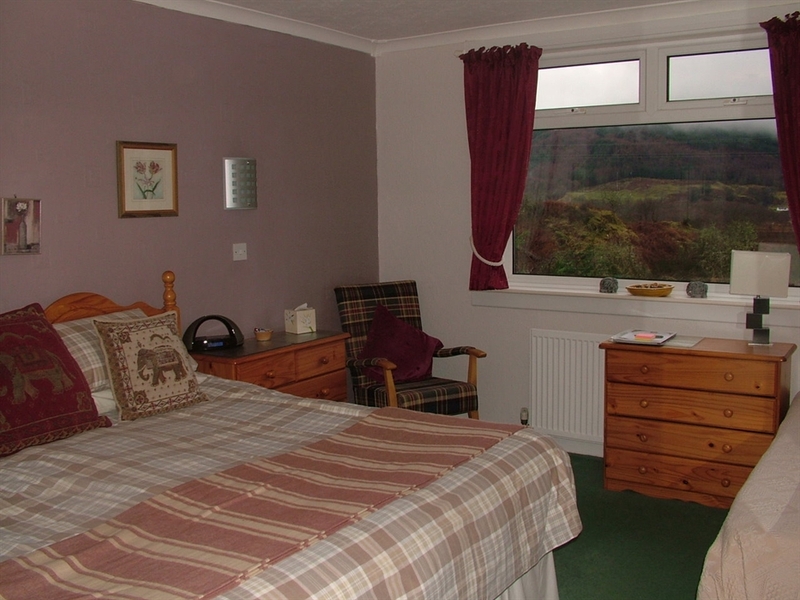 All our comfortable bedrooms include, TV/DVD, Radio/alarm, Hospitality Tray and Hairdryers. Guests have access to the house at all times. Private parking is at the rear of the building. There is a bright lounge/dining room where guests can relax at the bar and sample from over 75 single malt whiskies. Freshly prepared, delicious three-course evening meals with a Scottish accent are available, with choices on all courses and tea/coffee with mints to follow. Seasonal, long stay, weekly and daily rates. Payment: by personal cheque, sterling traveller's cheques, debit/credit cards or cash. Jon and Cherry will be delighted to welcome you to Braeside Guest House and will provide warm hospitality, excellent home cooked foods, served in comfortable surroundings.